Got a new plotter? - Old waypoints in the wrong format? Free up to 250 points! NEW - Set a maximum wind speed and wave height and see values equal or greater than emphasised in red as you step through a downloaded Theyr forecast - see a demo here. The wave height layer is semi transparent and its possible to view synchronised tide arrows as you move through the forecast. NavigationPLANNER 7 and NavigationPLANNER+ planning software use an interface based on Windows. The latest version of this great cruise planning tool calculates optimum route times based on tidal data within Navionics charts and gives course to steer before you set off. Plan your cruise at home and then upload the data to your chart plotter* when you get onboard. Developed by yachtsmen over many years NavigationPLANNER 7 is an extremely stable cruise planning program. NavigationPLANNER+ has all the features of NavigationPLANNER together with the facility to show the position of the vessel on the chart when a suitable GPS unit is attached. Download and start using with your Navionics card now! PCPlotter navigation software uses an interface based on Windows. It has all the planning features of NavigationPLANNER together with dynamic course management to give a full featured navigation system for the cruising yachtsman. 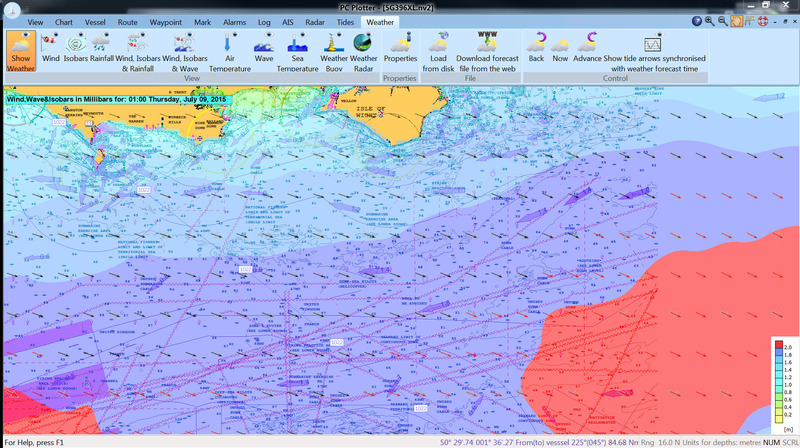 LATEST VERSION - TIKI Navionics GOLD 3.2 has a clear and distinctive presentation and uses an intuitive interface. It uses big menu buttons that are hidden when not required.